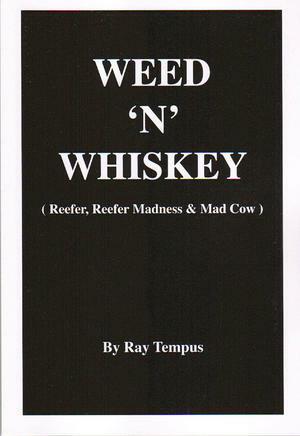 The latest book in the Ray Tempus Series, Weed 'N' Whiskey (Reefer, Reefer Madness & Mad Cow) is an exceptional, satirical commentary on how media and government propaganda shape public opinion about marijuana and alcohol. Tempus, with his inimitable wit, spotlights the historical hypocrisy of US government marijuana policies beginning in the 1930s with the McCarthy-like rantings of Senetor Harry Anslinger. Tempus contrasts this with the glorification of alcohol and its effects on American society. This book will give the reader a fresh and humorous look at a societal debate that has raged for decades. Get a copy today and see where you stand.